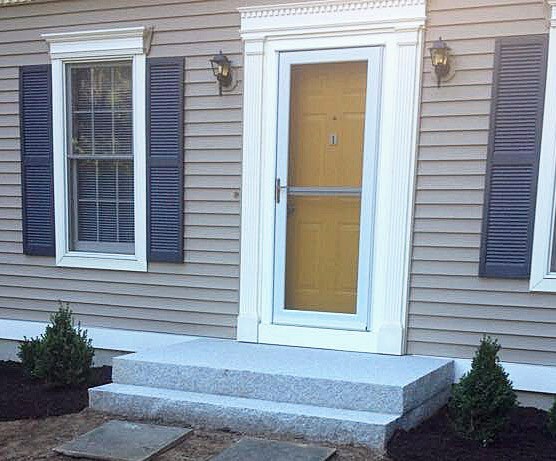 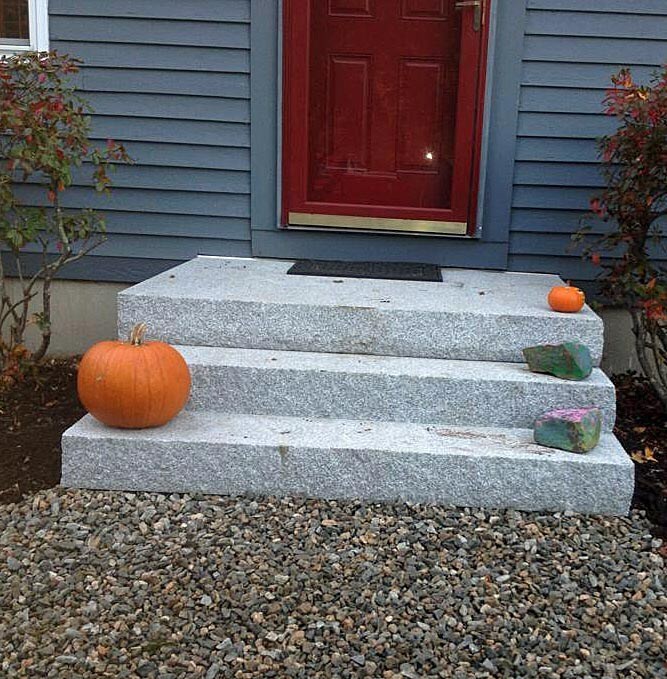 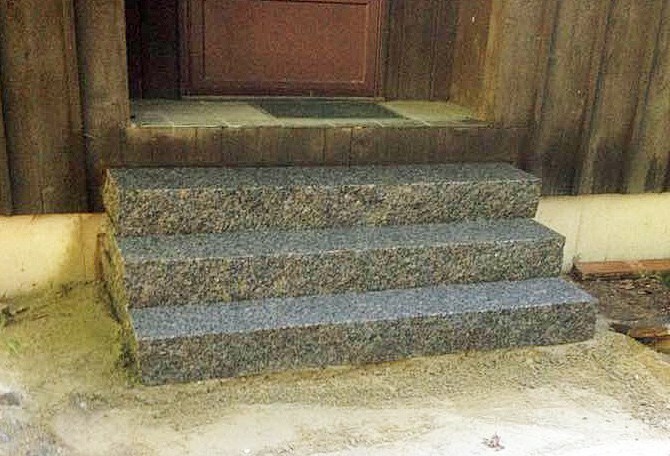 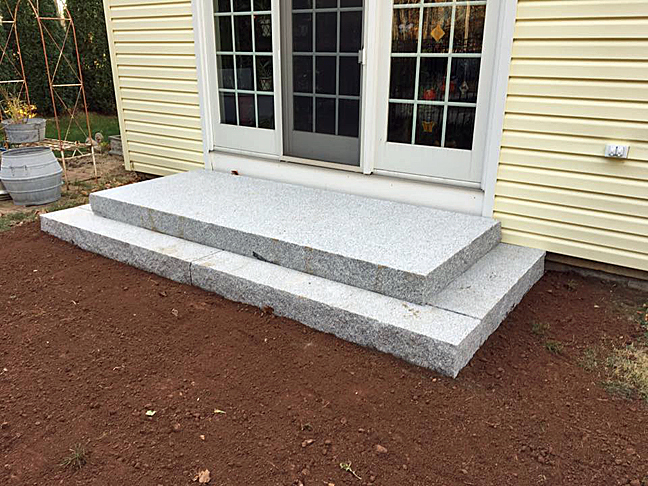 Granite steps accent any home or business. 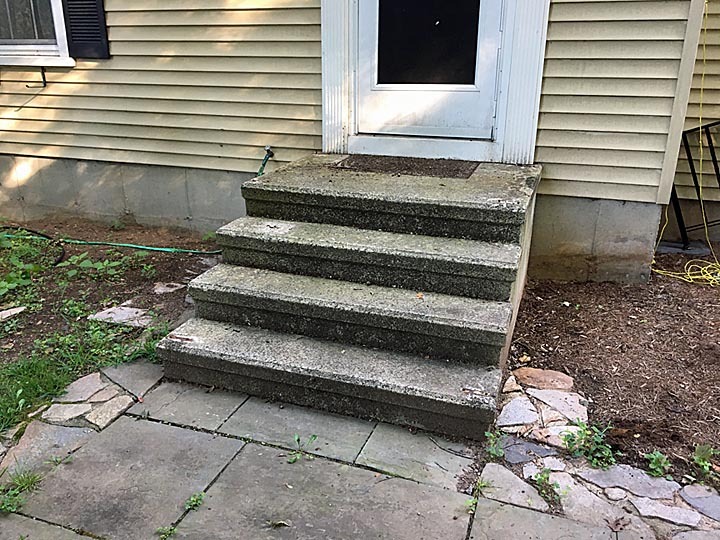 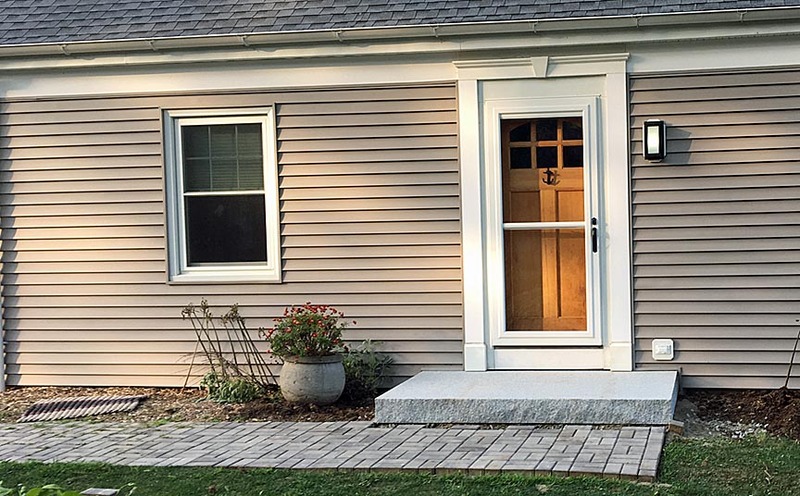 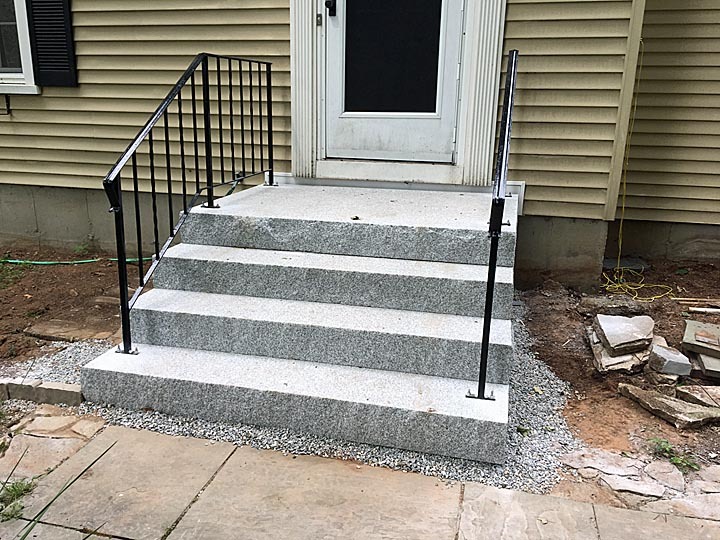 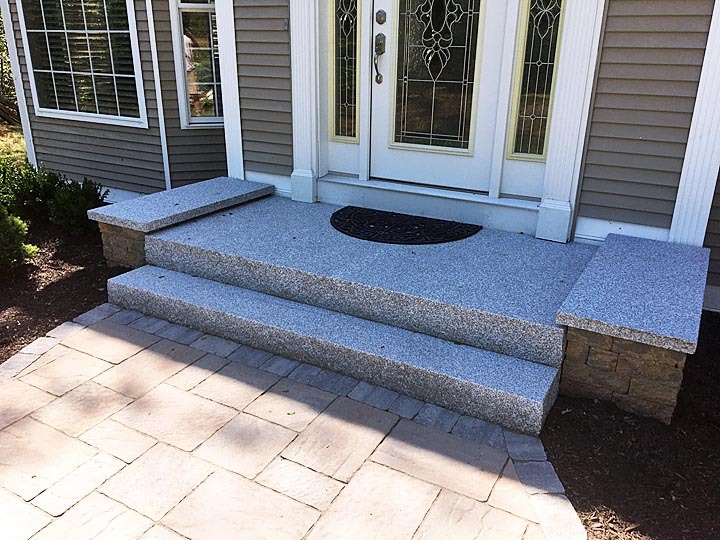 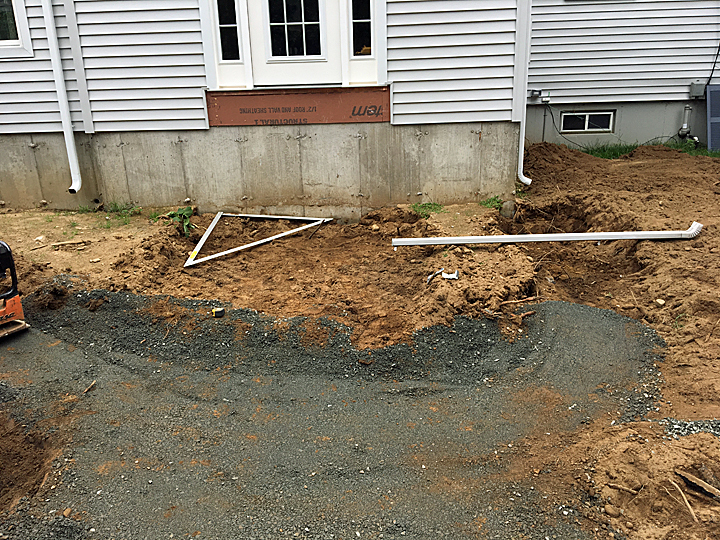 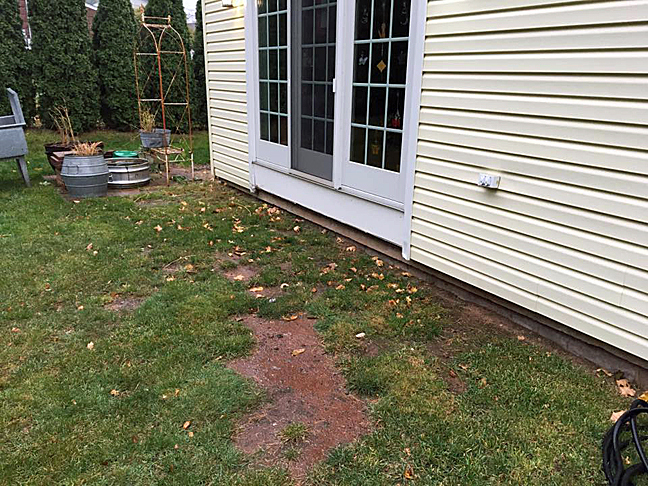 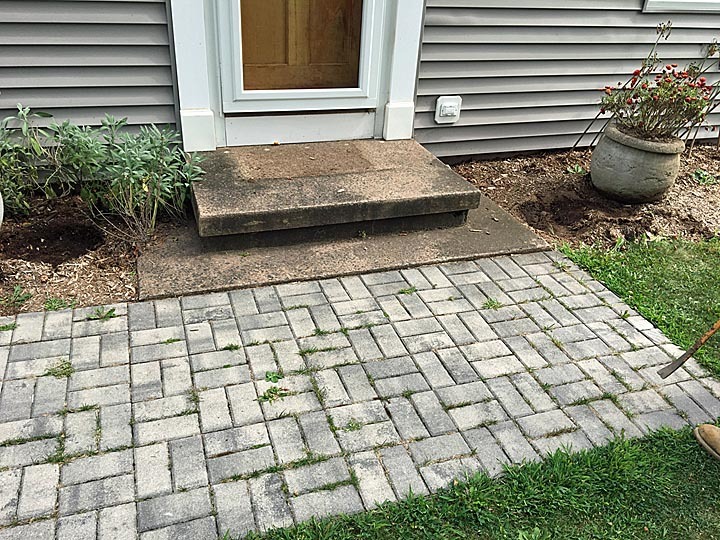 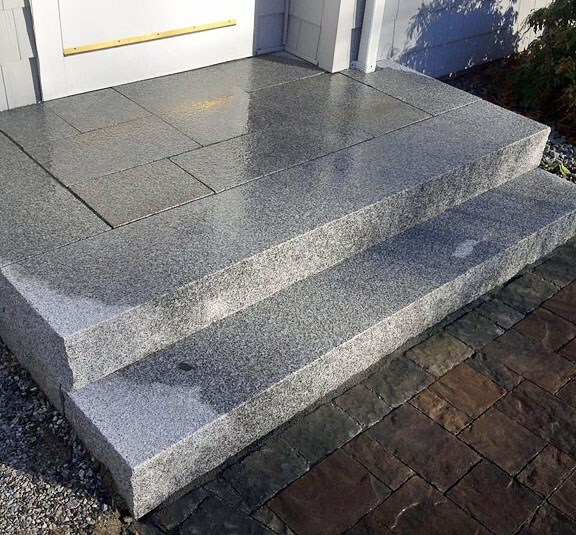 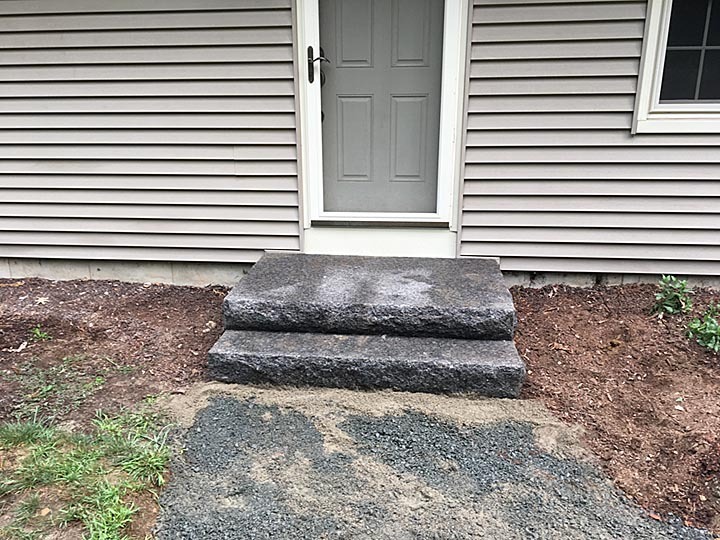 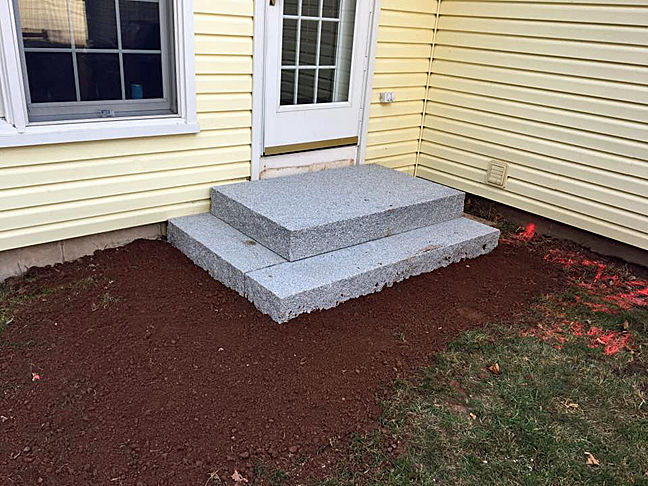 We install and repair granite step in Killingworth Connecticut, Clinton Connecticut, Madison Connecticut, Essex Connecticut, Deep River Connecticut and the entire State of Connecticut. 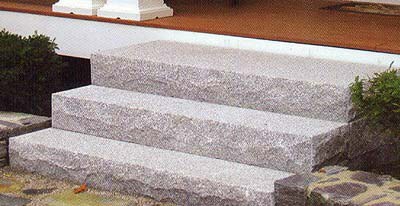 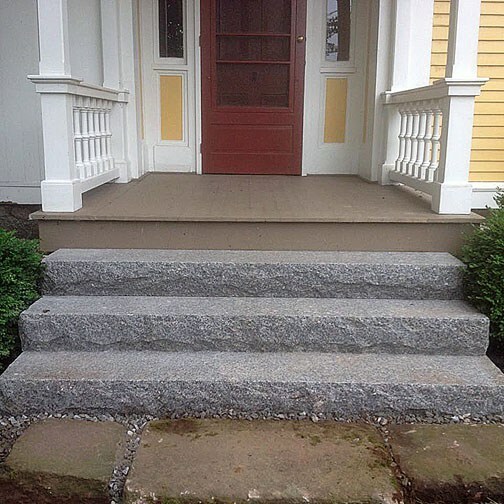 Granite steps are maintenance free once they are installed. 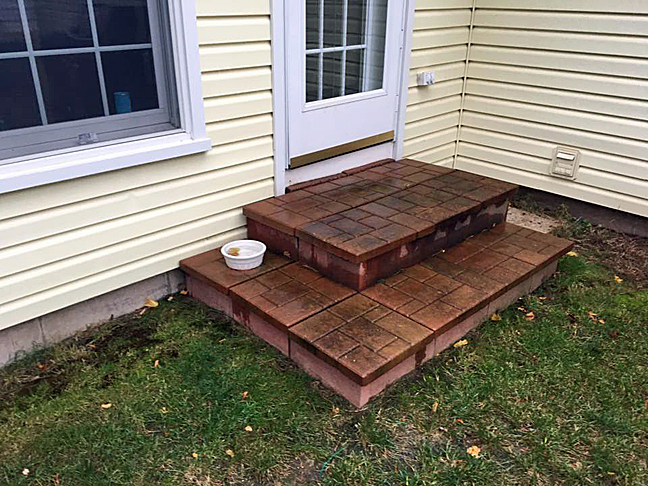 They will not chip or crack, and will stand up to the winter months without showing any weathering. 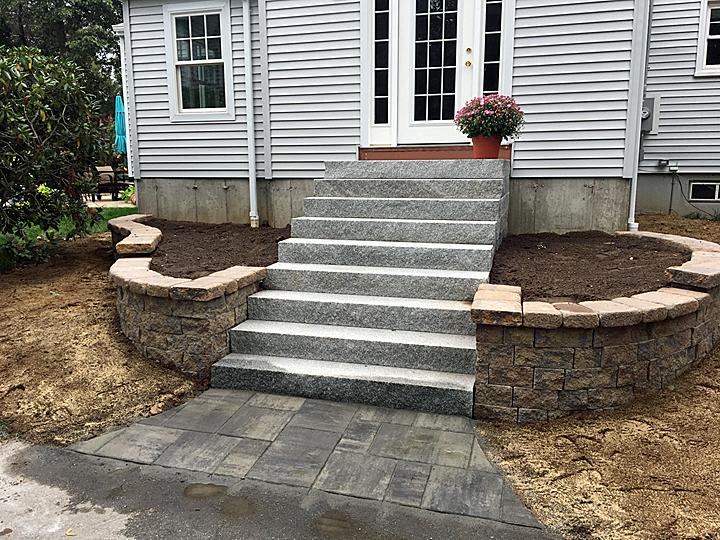 New England Granite at it best.